Place oatmeal, bicarbonate of soda and salt into a bowl. In a saucepan, heat the water, adding the bacon fat or butter, heat until melted. 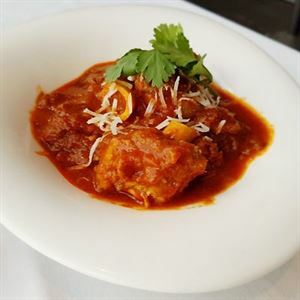 Make a well in the dry mixture and add the liquid, making a soft dough to 1.5 cm thick. Cut out biscuits with a 15 cm circle cutter and bake in the oven for approximately 20 minutes turning every 5 minutes or so until golden, light and crisp. Leave to cool on a wire rack. 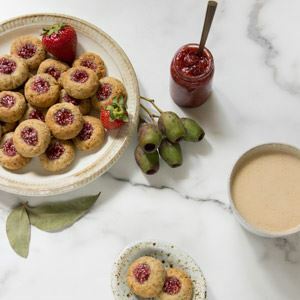 Place the figs that have been cut in half on a baking tray, sprinkle with a little raw sugar and grill until golden. 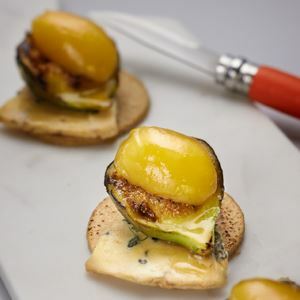 Place a 15 cm slice of blue cheese on each biscuit, top with the grilled fig and honey quenelle. 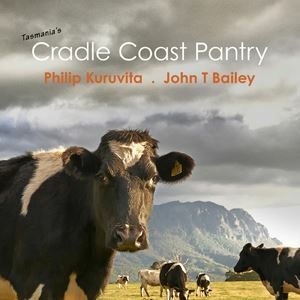 Credits: Recipes from the book Tasmania’s Cradle Coast Pantry by Philip Kuruvita and John T. Bailey, published by Philip Kuruvita Photography. 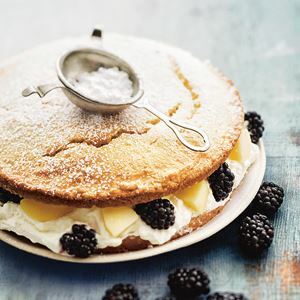 Photo Credits: Recipes from the book Tasmania’s Cradle Coast Pantry by Philip Kuruvita and John T. Bailey, published by Philip Kuruvita Photography.